I really like the week between Christmas and New Year. It offers time to catch up and look to the year ahead. Time to be indulgent and spend some time reading around things. 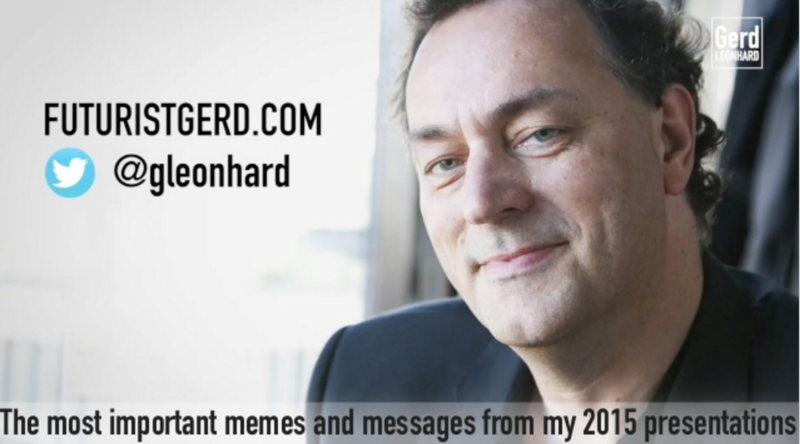 I have also been a long time fan of Gerd Leonhard, a futurist and keynote speak on all things digital. Here are his thoughts on 2015 and what might lie ahead. Well worth making yourself a cuppa and flicking through them. I have always loved his crazy slides too!